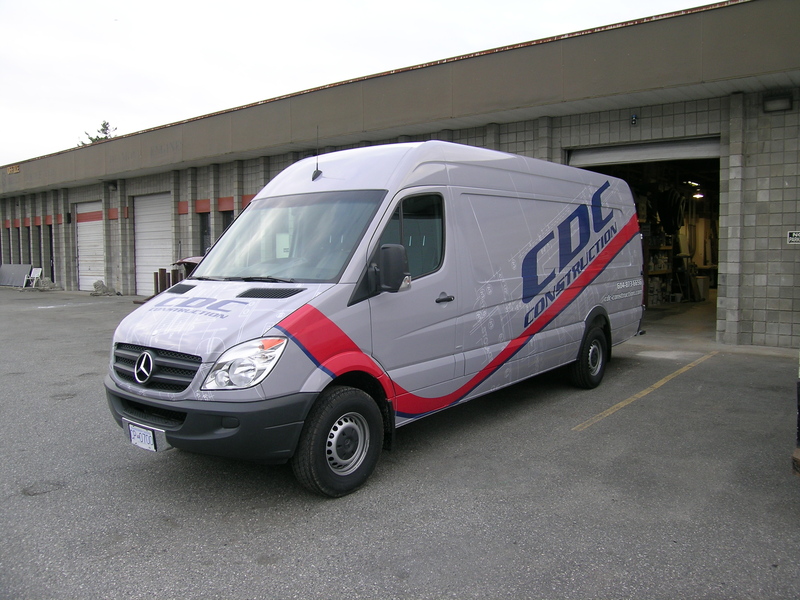 If you are interested in getting a vehicle wrap for you business, give us a call. We recently designed a full vehicle wrap for CDC Construction located in Vancouver, B.C. They just bought a 2010 van and wanted to wrap it with a racey new look instead of the typical boring construction wraps. We went through a few concepts together and the final product turned out fantastic. Here are a few photos they sent over.